POSTED: Tue, 09/19/2017 - 16:00 | POSTED BY: Traci C.
The former Holidays Around the World have been renamed the Epcot International Festival of Holidays and the event kicks off November 19. The Festival of Holidays will include 15 Holiday Kitchens in World Showcase where guests can enjoy holiday foods, cookies, and other seasonal treats. Our friends at the Disney Food Blog have details on the Holiday Kitchens from last year, some of which are returning this year! Guests at Epcot can also enjoy the Candlelight Processional each night from November 24 through December 30. There are three shows a night at 5, 6:45, and 8 p.m. in the America Gardens Theater in the American Adventure Pavilion. Other events during the Festival of Holidays include holiday traditions at the World Showcase pavilion, JOYFUL! A Gospel Celebration of the Season, the Canadian Holiday Voyageurs, Chip & Dale's Christmas Tree Spree Scavenger Hunt, and more. 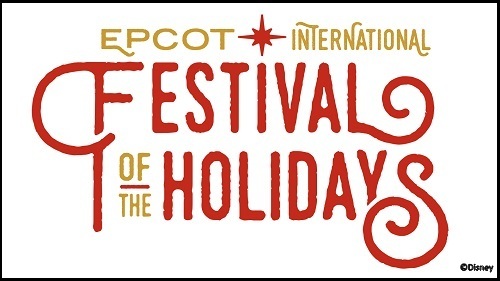 The Epcot International Festival of Holidays runs November 19 through December 30. Are you celebrating the holidays at Epcot this year? Let us know in the comments. Bring on the Holiday Kitchens!